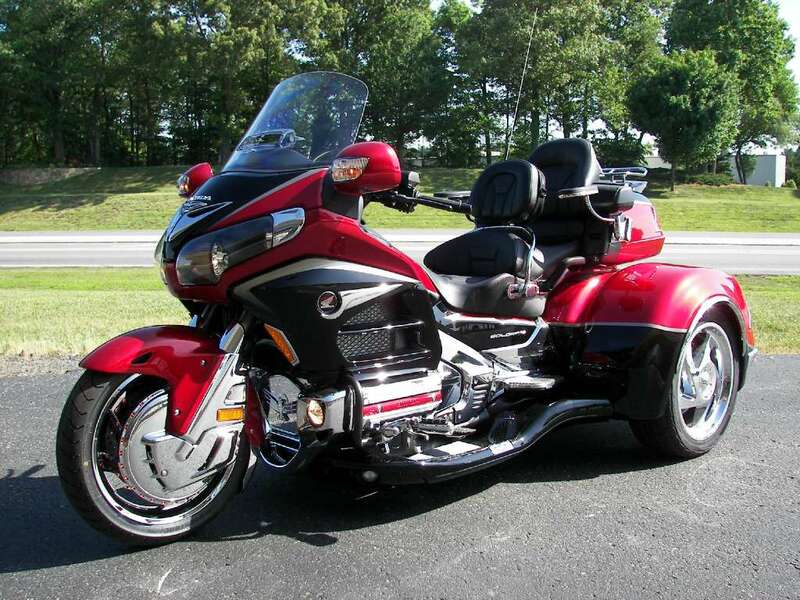 2015 California Side Car Viper, CSC TRIKE - this is a new 2015 two tone black/red 40 year anniversary Honda Gold wing with a California sidecar trike kit installed "CSC". 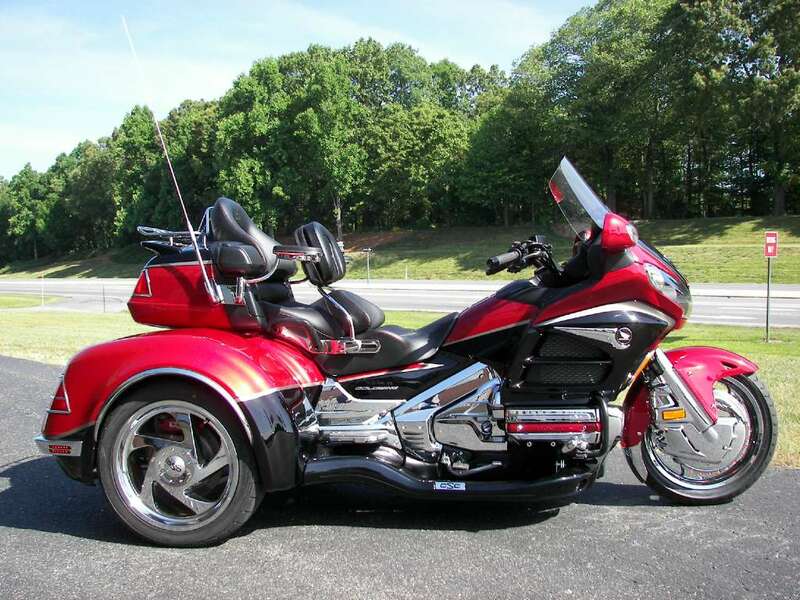 this trike has many of the CSC upgrade options like power trac front end, full running boards, carpet kit for trunk, wheel upgrade, brake upgrade and rear bumper upgrade. 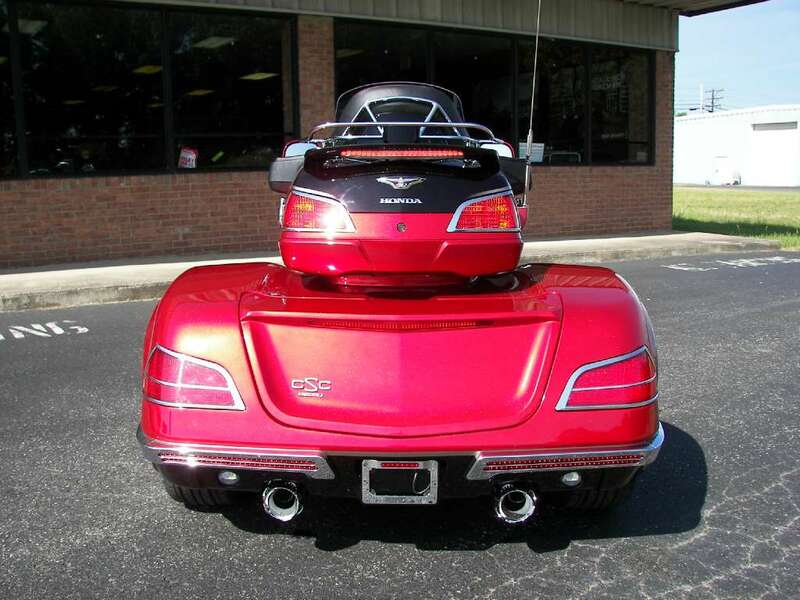 we have also added many nice accessories like matching chrome front wheel, chrome rotor covers, ring of fire, chrome front fender extension, chrome timing cover, chrome lower cowl, running lights, chrome emblem accent, chrome highway pegs, chrome valve covers, chrome upper cowl intake vent trim, chrome dipstick, chrome side covers, chrome frame covers, adjustable driver backrest, passenger armrest with cup holder, chrome luggage rack and rear spoiler with running/brake lights. please feel free to email or call us here at 704-487-7261 if you have any questions at all thanks Darren All New Design - Same Great Performance. 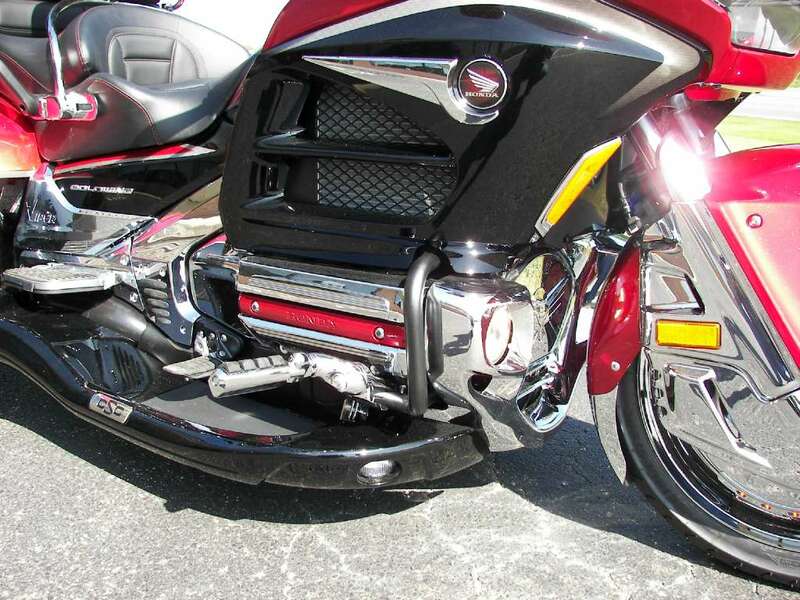 The VIPER was designed from the ground up exclusively for the 2012 and newer Honda Goldwing 1800. 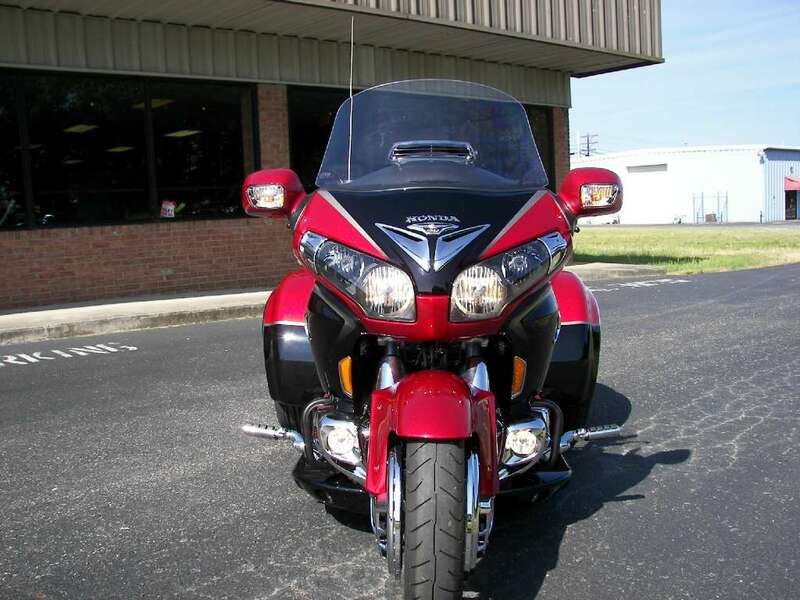 It captures Hondas new styling changes and incorporates a perfect match of the LED trike tail lights to the Goldwing tour box lights accented with a trunk door spoiler light as a standard feature. The trunk door has been made wider for easier access and opens to the largest trunk storage area of any trike in the industry  8 cubic feet. At its core, a fully independent suspension system based on light weight cast aluminum smoothes the roughest road, while providing responsive handling to the driver. 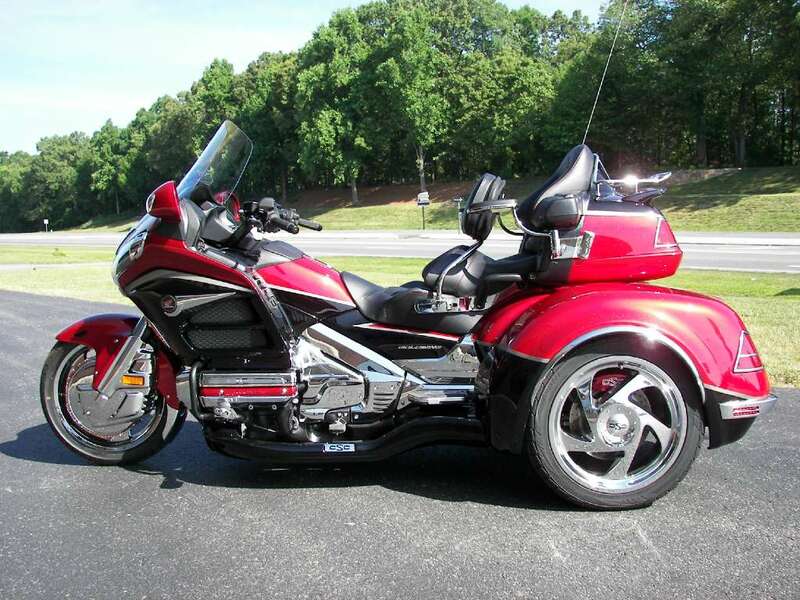 A gas charged coil-over shock and chromoly anti-roll bar work together to control body lean and keep the trike flat thorugh the most demanding curves. Our proprietary brake calipers and fully integrated linked braking system delivers unmatched braking power and control. Add the 6 degree Power Trak to create supreme steering feel and control. price does not include freight charge of $390. 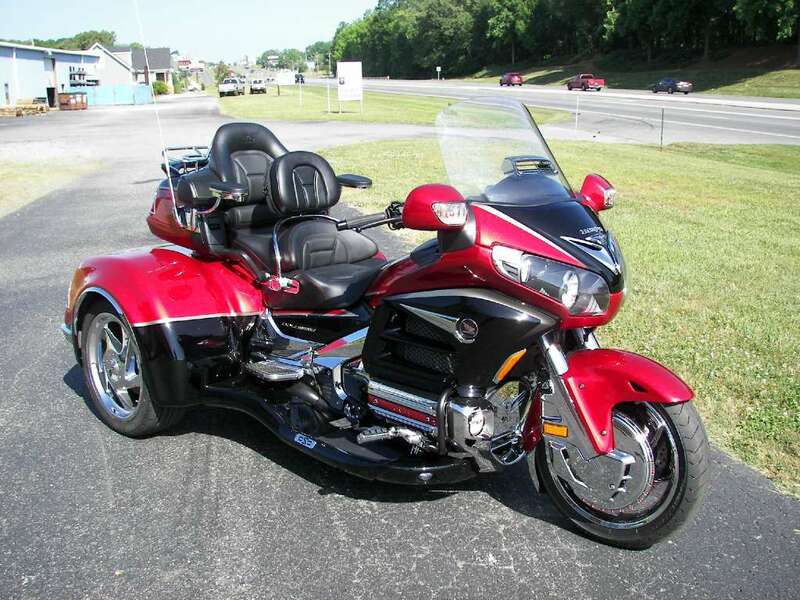 All California Side Car pictures are kind of California Side Car HD motorcycles picture was taken, including motor fuel gauge, engine, engine mounts, tires, fuel tank, the car handles, lights and so on, 2015 California Side Car Viper Trike full-screen viewing,2015 California Side Car Motorcycles today Price: $44,599.